“The production teams in India” cancelled the show at the last moment, the event’s website said, due to “personal constraints” – but it was slated to happen later that month. That didn’t happen as well. Since then, nothing more has been heard and by all accounts, it has been given a quiet burial. As we told The Wire, we shall campaign closely, including on social media platforms, with our partners in Indian civil society to ensure that filmmakers in India respect their moral obligation to do no harm to our struggle for justice and freedom. Last year, on a propaganda trip to Mumbai, Michael Oren, as a senior representative of the far-right Israeli government, urged Bollywood producers to invest in Israel. He admitted that the aim of his visit was to “fight BDS”. 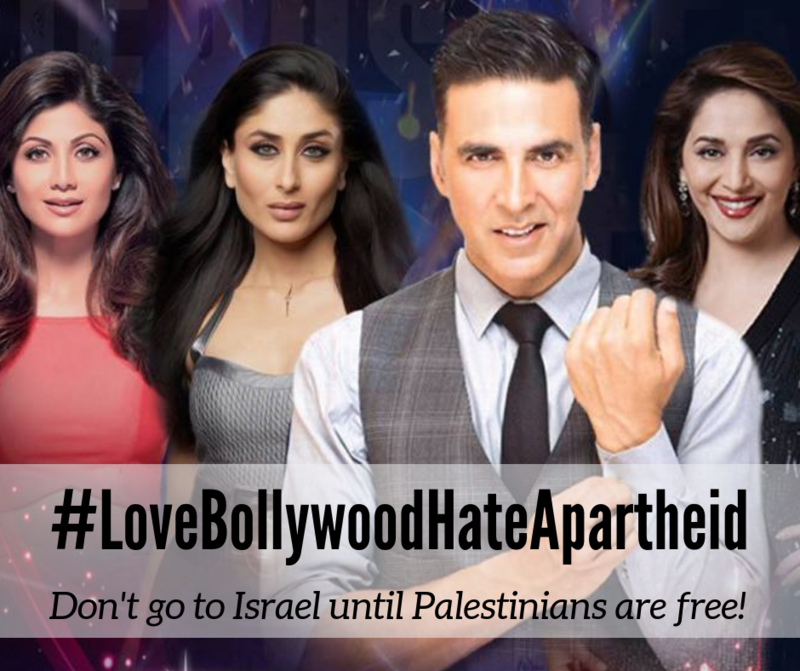 Let’s send the message to Bollywood actors that solidarity with Palestinians is a global concern. Use the links below to visit the social media pages of the four Bollywood stars booked for Israel. You can comment on their posts, or create your own, tagging the actors.